Say hello to The Licker. 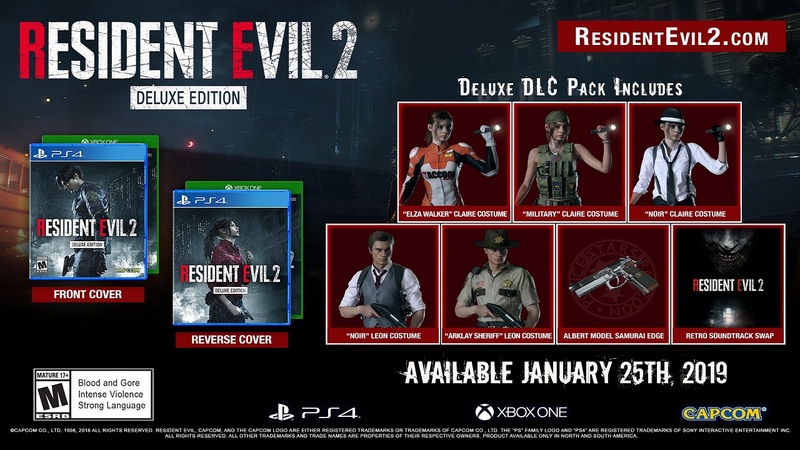 Plus, new Resident Evil 2 Remake Deluxe Edition revealed. We've already seen Claire Redfield take on some pretty intense monsters in Resident Evil 2 Remake, which is set to release next year. Add to that list The Licker, which is... well... pretty gross. Siliconera just posted a handful of new videos from a variety of sources featuring the nasty beast. When Claire first sees it, it looks like a bloody, skinless corpse writhing on the ground. It brings to mind a similar scene from Hellraiser 2, which was harrowing in its own right. Check out the video below. As we've written in the past, Resident Evil 2 Remake is looking to merge the action of Resident Evil 4 with the horror of the original Residen Evil 7. And I've gotta say, The Licker is pretty darn horrifying in the way that it crawls along the walls and is generally pretty nasty looking. Everyone will of course remember The Licker's appearance in the original Resident Evil 2, which began with a severed head dropping from the ceiling. Even on the original PlayStation, it looks pretty messed up. Of course, then Leon just shotguns it in the face, so maybe it's not that scary. Resident Evil 2 Remake is one of the most anticipated games coming to the PS4 and Xbox One, having earned Game of the Show honors from USG at E3 2018. The original was an all time classic, and so far Capcom seems to be doing right by the remake, including bringing back familiar figures like Ada Wong. In addition to the new footage, Capcom has also revealed a new Deluxe Edition that's chockful of fan service, including a special retro soundtrack swap. Seems pretty essential if you're any kind of Resident Evil 2 fan. Resident Evil 2 Remake is set to release on PC, Xbox One, and PS4 on January 25. Click the link to see everythink we know about it so far.